Experienced Medical Devices and InVitro Diagnostics Executive Vice President with 26 years of working at the U.S. FDA Center for Devices and Radiological Health (CDRH) and working with Regulatory Agencies around the globe. Industry experience as well as regulatory agency experience. Demonstrated history of working collaboratively with industry, regulators and patient groups for the betterment of public health. Executes medical device regulatory services and recently developed a formal Education/Training business, as well as an Authorized Medical Device Single Audit Program (MDSAP) Auditing Organization and a new Notified Body in Ireland for EU IVDR/MDR Designation. Recognized International Expert in global medical device regulations, wrote and harmonized the US FDA Quality System Regulation 21 CFR § 820 and was on the international authoring group of ISO 13485 since inception. While at US FDA conceived and developed the MDSAP international consortium of five Global Regulators, as well as its many foundational documents. Twenty year veteran of the Global Harmonization Tasks Force (GHTF) and foundational member of the International Medical Device Regulators Forum (IMDRF). Medical Device expert on the Center for Drug Evaluation and Research (CDER) “GMPs for the 21st Century Initiative” Steering Committee and on the FDA authoring group for the Combination Product Good Manufacturing Practice (GMP) Part 4 regulation. Kim last position at CDRH was Associate Director for International Affairs within the Office of the Director. 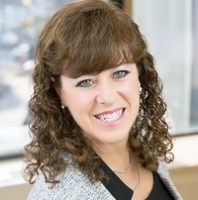 Currently at NSF International in the Health Sciences Division, Kim is leveraging her over thirty years of medical device sector experience to expand international regulatory affairs and compliance services for NSF International global clients.